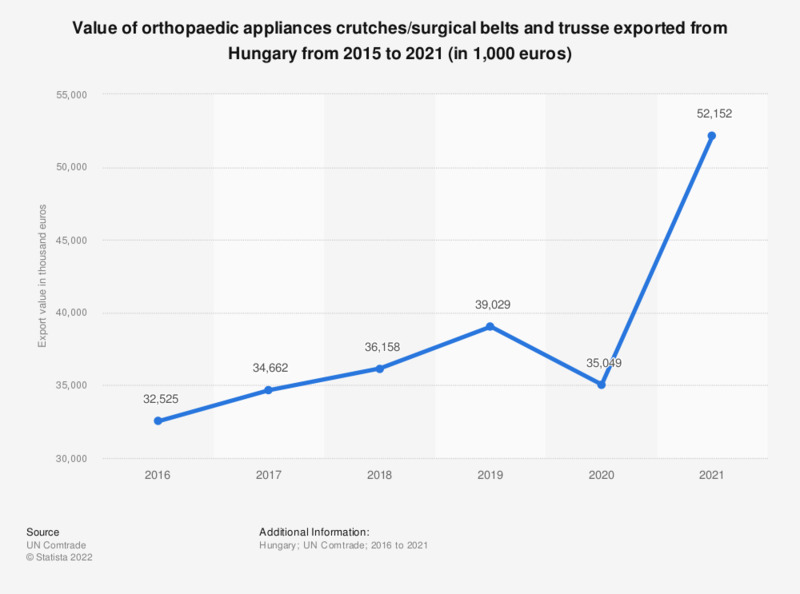 This statistic presents the value of orthopaedic appliances (crutches/surgical belts and trusse) exported from Hungary from 2012 to 2017. Exports of orthopaedic appliances were valued at approximately 34 million euros in 2017. Product code 90 'Optical, photo, technical, medical, etc apparatus'. Subcode '9021.